In the “Walking” chapter of the Road Course, I juxtapose ideas of space, gender and the literary in Benjamin Franklin’s Autobiography, Susanna Rowson’s novel Sincerity and in a printed treaty between the province of Pennsylvania and the Haudenosaunee, or Six Nations of the Iroquois. The essay starts from an observation by Michel de Certeau’s classic Practice of Everyday Life. Walking involves motion, motion creates stories, so that the received knowledge of inert space is set into motion; “what the map cuts up,” Certeau writes, “the story cuts across” (129). What are the stories that cut across the map? How do we read accordingly? Start with Franklin. The deceptive ease, or sprezzatura, of the Autobiography makes this work difficult to teach. One source of complication lies with the text itself. Franklin penned the Autobiography in four parts, between 1771 and 1790, and not being a whole work, it never appeared in a definitive or complete form. A spurious Mémoires de la vie privée de Benjamin Franklin (1791) was first published in Paris, then the earliest English version was re-translated back from the French! Another version of the manuscript appeared in 1818, then after the Civil War, a definitive copy of the manuscript was located. The version I assign in surveys, a Dover Thrift edition, reprints the 1868 text by Philadelphia publisher J.P. Lippincott & Co. Among contemporary scholars, some prefer the Yale University Press edition by Leonard W. Labaree, et al. For this essay, I consult the genetic text (a print replication of the manuscript), by J.A. Leo Lemay and P.M. Zall. For teaching purposes, Lemay and Zall prepared a Norton Critical Edition, which includes selected essays; the Norton was then updated by Joyce E. Chaplin, just twenty-five years later but with no significant changes to the volume’s architecture, speaking to Franklin’s status as a literary monument and classroom staple. On the dense textual and reception history, see Stephen Carl Arch’s concise “Benjamin Franklin’s Autobiography, then and now.” Douglas Anderson emphasizes the fragmentation and disruption in the text in The Unfinished Life of Benjamin Franklin. To emphasize image-making in Franklin, as just a side note, the complete Papers (edited by Labaree and others) are an invaluable resource. Franklin aficionado and longtime American Philosophical Society Librarian Roy Goodman, for example, once suggested I present students with Franklin’s 1738 “Defense of Conduct” (in which he seeks to clear his reputation after being linked to an hazing accident), the Autobiography, and illuminating letters to his parents following the 1738 embarrassment; the contrast provides a welcome diversion for students and rich fodder for discussion. No way can I cover the full body of criticism, although I single out two articles that have influenced my understanding. William Boelhower’s “Stories of Foundation, Scenes of Origin” appeared in a 1993 issue of American Literary History that jump-started eighteenth-century American studies, at a time when I happened to be framing my dissertation. 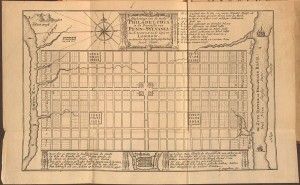 Noting how acts of foundation necessitate the negation of space, as illustrated by Franklin’s overlaying a life story over the abstract street grid of Philadelphia, Boelhower describes the Philadelphia walk as originary for the new man, homo nationalis. Michael Warner’s Letters of the Republic: Publication and the Public Sphere in Eighteenth-Century America, finally, uses literacy to explain the shape and abrupt ending to Part One of the Autobiography. By presenting Franklin’s voice as disembodied, vacated to serve the new res publica, Warner re-establishes the function of the literary in early America, a key point of this essay. Where Franklin’s Autobiography was received as a model for the new nation, Rowson presents a more complicated story of reception: from tremendous popularity in her own time; to dismissal through most of the twentieth century; to a selective recovery in the 1980s (that was limited to her more famous Charlotte Temple); to the final, ongoing calls for a reclamation of her full body of work. An important early article by historian Eve Kornfield charts intersections of gender and virtue, situating the emphasis on female domesticity in the later work against civic virtue; see “Women in Post-Revolutionary American Culture: Susanna Haswell Rowson’s American Career.” In another rare early discussion of Sincerity, Patricia L. Parker reads the novel biographically, as a reflection of the novelist’s bad marriage. Rowson’s resurgence owes its principal debt to the field-wide interest in sentimental fiction and to Cathy N. Davidson’s Revolution and the Word especially (although Davidson says almost nothing about Sincerity). More recent scholarship maintains that the fixation with more famous novels — notably, Rowson’s Charlotte Temple — has narrowed our view of literary culture. Marion Rust provides a nuanced reading of the negotiations between gender and authorship in Prodigal Daughters: Susanna Rowson’s Early American Women. The ongoing recovery effort led to the selection of Sincerity for the “Just Teach One” project in 2015. Toward that end, project editors Duncan Faherty and Ed White provided a clean text and critical introduction, with a survey of the scholarship to date. Useful summaries of Rowson’s reception, emphasizing the great variety of her work and articles on the long-overlooked Sincerity, appear in “Beyond Charlotte Temple,” a 2011 special issue of the journal Studies of American Fiction, edited by Jennifer Desiderio and Desirée Henderson. The full recovery, sparked by Rust’s revisionist study, includes introductory essays, and contributions by Jared Gardner and Ed White that speak to Sincerity directly. What are the intersections between space, culture, literary medium and gender? In the Road Course (not in my blog posts), I will examine this question through the printed treaties between Pennsylvania the Haudenosaunee (or Iroquois) Indians. To bring these voices into the classroom is particularly daunting; as Bruce Elliott Johansen and Barbara Alice Mann remark, the Haudenosaunee represent some “of the most intensely studies aboriginal people on earth” (Encyclopedia of the Haudenosaunee (Iroquois Confederacy). When trying to make sense of the 1742 treaty for my first book, From the Fallen Tree: Frontier Narratives, Environmental Politics and the Roots of a National Pastoral, I started where most novices do, with the Handbook of North American Indians: Northeast (volume 15). Iroquois treaties, admired in their own day, circulated widely throughout Europe and the Americas. A major, regrettably out-of-print, volume is the folio-sized Indian Treaties Printed by Benjamin Franklin, with an introduction by Franklin biographer Carl Van Doren and edited by Julian P. Boyd. The History and Culture of Iroquois Diplomacy: An Interdisciplinary Guide to the Treaties of the Six Nations and Their League, edited by Francis Jennings and others, provides invaluable resources, including a timeline, overviews, and notes on participants. Scholarship in the later twentieth century has shifted from Iroquois politics and diplomacy to textual slippage. Influenced by the indefatigable Jennings, a generation of scholars focused on treaty relations and the figure of the Covenant Chain between British colonies and the Iroquois Confederacy. Richard L. Haan argues that this chain, a recurring figure in treaty rhetoric, created the illusion that allowed Pennsylvania to usurp Delaware land in “Covenant and Consensus: Iroquois and English, 1676-1760.” Writing in the same volume, “Pennsylvania Indians and the Iroquois,” Jennings claims in the Walking Purchase (and treaties that followed) that the Delawares were “bullied more than beaten” off their land. Dorothy V. Jones describes an “Iroquois mystique” (24), a reputation for strength conveyed to the white colonists, in License for Empire: Colonialism by Treaty in Early America. Barbara Alice Mann’s Iroquoian Women: The Gantowisas emphasizes women’s council in deliberative processes, while José António Brandão link clan structure to treaty discourse in “Your fyre shall burn no more: Iroquois Policy toward New France and Its Native Allies to 1701. A “textual turn” for Native American scholarship in the late 1980s and 1990s sparked particularly insightful readings into treaty relations, rhetorical customs and cases of shared misunderstanding. Influenced (or accompanied) by Richard White’s classic The Middle Ground, this research emphasizes translation. Nancy L. Hagedorn’s “‘A Friend To Go Between Them’: The Interpreter as Cultural Broker During Anglo-Iroquois Council, 1740-1770,” highlights the “behind the scenes” role of interpreters, who often served as cultural brokers; see also her “Brokers of Understanding: Interpreters as Agents of cultural Exchange in Colonial New York.” James H. Merrell’s Into the American Woods: Negotiators on the Pennsylvania Frontier, sheds particular light on translator Conrad Weiser, an important figure in the 1742 treaty. Sandra N. Gustafson offers a detailed rhetorical analysis of the 1742 treaty in Eloquence is Power, arguing that Iroquoian speaker Canassatego deployed a patriarchal metaphoric system in order to legitimate land theft. And in a theorized reappraisal of the republican synthesis, The Backcountry and the City: Colonization and Conflict in Early America, Ed White maintains that speeches such as Canassatego’s capture a continuing fragmentation. As with the case of Susanna Rowson, future scholarship on native treaty making will depend upon a more complete recovery of the texts, as well as a more agile understanding of what “literary” mean in the eighteenth-century British empire and colonies. To “cut across the map” of early America, we must know how to read. Anderson, Douglas. The Unfinished Life of Benjamin Franklin. Baltimore: Johns Hopkins U P, 2012. Arch, Stephen Carl. “Benjamin Franklin’s Autobiography, then and now.” Cambridge Companion to Benjamin Franklin. Ed. Carla Mulford. New York: Cambridge U P, 2009. 159-71. Boyd, Julian P. (ed.). Indian Treaties Printed by Benjamin Franklin. Intro. Carl Van Doren. Philadelphia: Historical Society of Pennsylvania, 1938. Brandão, José António. “Your fyre shall burn no more: Iroquois Policy toward New France and Its Native Allies to 1701. Lincoln: U Nebraska P, 1997. Certeau, Michel de. The Practice of Everyday Life. Transl. Steven F. Rendall. Berkeley: U California P, 1984. Davidson, Cathy N. Revolution and the Word: The Rise of the Novel in America. New York: Oxford U P, 1986. Davis, Natalie Zemon. “Iroquois Women, European Women.” Women, ‘Race,’ and Writing the Early Modern Period. London: Routledge, 1994. 243-58. Desiderio, Jennifer and Desirée Henderson (eds). Beyond Charlotte Temple. Special issue of Studies in American Fiction 38:1-2 (Spring/Fall 2011). Erkkila, Betsy. “Franklin and the Revolutionary Body.” English Literary History 67:3 (Fall 2000). 717-41. Fichtelberg, Joel. “The Complex Image: Text and Reader in the Autobiography of Benjamin Franklin.” Early American Literature 23:2 (1988). 202-16. Franklin, Benjamin. The Autobiography of Benjamin Franklin. Ed. Leonard Labaree, et al. New Haven: Yale U P, 1964. ___________ . The Autobiography of Benjamin Franklin: A Genetic Text. Ed. J.A. Leo Lemay and P.M. Zall. Knoxville: U Tennessee P, 1981. The Autobiography of Benjamin Franklin . Mineola, N.Y.: Dover, 1996. ___________ . Benjamin Franklin’s Autobiography. Ed. J.A. Leo Lemay and P.M. Zall. New York: Norton, 1986. __________ . Benjamin Franklin’s Autobiography. Ed. Joyce Chaplin. New York: Norton, 2012. __________ . Papers. Ed. Leonard W. Labaree, et al. New Haven: Yale U P, 1959-1987. Gardner, Jared. “Susanna Rowson’s Periodical Career.” Studies in American Fiction 38:1-2 (Spring/Fall 2011). 99-114. Gustafson, Sandra N. Eloquence is Power: Oratory and Performance in Early America. Chapel Hill: U North Carolina P, 2000. Haan, Richard L. “Covenant and Consensus: Iroquois and English, 1676-1760. In Jennings (ed. ), Beyond the Covenant Chain. Hagedorn, Nancy L. “‘A Friend To Go Between Them’: The Interpreter as Cultural Broker During Anglo-Iroquois Council, 1740-1770.” Ethnohistory 35:1 (Winter 1988). 60-80. __________ . “Brokers of Understanding: Interpreters as Agents of Cultural Exchange in Colonial New York.” New York History 76:4 (October 1995). 379-408. Jennings, Francis. The Ambiguous Iroquois Empire: The Covenant Chain Confederation of Indian Tribes with English Colonies from its beginnings to the Lancaster Treaty of 1744. New York: Norton, 1984. __________. Empire of Fortune: Crowns, Colonies, and Tribes in the Seven Years War in America. New York: Norton, 1988. ___________. “Pennsylvania Indians and the Iroquois.” In Jennings (ed. ), Beyond the Covenant Chain. Jennings, Francis (ed. ), et alias. The History and Culture of Iroquois Diplomacy: An Interdisciplinary Guide to the Treaties of the Six Nations and Their League. Syracuse, N.Y.: Syracuse U P, 1985. Johansen, Bruce Elliott and Barbara Alice Mann. Encyclopedia of the Haudenosaunee (Iroquois Confederacy). Westport, Ct.: Greenwood, 2000. Jones, Dorothy V. License for Empire: Colonialism by Treaty in Early America. Chicago: U Chicago P, 1982. Kornfield, Eve. “Women in Post-Revolutionary American Culture: Susanna Haswell Rowson’s American Career.” Journal of American Culture 6 (1983). 56-62. Lawrence, D.H. Studies on Classic American Literature. New York: Penguin, 1964. Mann, Barbara Alice. Iroquoian Women: The Ganowisas. New York: Peter Lang, 2000. Mulford, Carla (ed). The Cambridge Companion to Benjamin Franklin. Cambridge: Cambridge U P, 2009. Nash, Gary B. Red, White, and Black: The People of Early America. Englewood Cliffs, N.J.: Prentice-Hall, 1974. Parker, Patricia L. Susanna Rowson. Boston: Twayne, 1986. Richter, Daniel K. Ordeal of the Longhouse: The Peoples of the Iroquois League in the Era of European Colonization. Chapel Hill: U North Carolina P, 1992. Rowson, Susanna. Sincerity: A Novel in a Series of Letters (1803-04). [Sarah; The Exemplary Wife (1813). Ruoff, A. LaVonne Brown. American Indian Literatures: An Introduction, Bibliographic Review, and Selected Bibliography. New York: Modern Language Association, 1990. Rust, Marion. 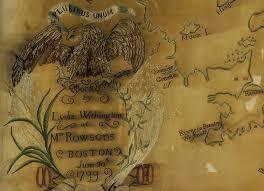 Prodigal Daughters: Susanna Rowson’s Early American Women. Chapel Hill: U North Carolina P, 2008. Sayre, Robert F. The Examined Self: Benjamin Franklin, Henry Adams, Henry James. Second Edition. Madison: U. Wisconsin P, 1984. Seavey, Ormond. Becoming Benjamin Franklin: The Autobiography and the Life. University Park: Ohio State UP, 1988. Trigger, Bruce G. (ed.). Handbook of North American Indians. Volume 15: Northeast. Washington, D.C.: Smithsonian, 1978. Warner, Michael. The Letters of the Republic: Publication and the Public Sphere in Eighteenth-Century America. Cambridge: Harvard UP, 1990. Wiget, Andrew. Native American Literature. Boston: Twayne, 1985. White, Ed. The Backcountry and the City: Colonization and Conflict in Early America. Minneapolis: U Minnesota P, 2005. _________ . “Rowson’s Arcs.” Studies in American Fiction 38:1-2 (Spring/Fall 2011). 267-83. White, Richard. The Middle Ground: Indians, Republics, and Empires in the Great Lakes Region, 1650-1815. New York: Cambridge U P, 1991. Wroth, Lawrence C. “The Indian Treaty as Literature.” Yale Review 17:4 (July 1928). 749-66.